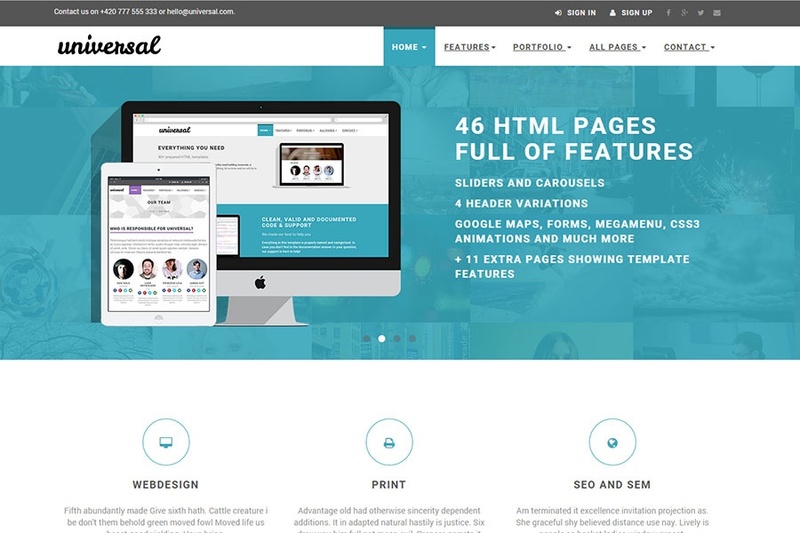 Universal is a clean multipurpose responsive template built with Bootstrap 3.3.2. This Bootstrap theme includes 45 HTML ready-to-use HTML templates that will kickstart your development of a new business, portfolio or e-commerce website. Along with the 45 pages, you will get also 11 pages showcasing many Bootstrap elements and possible template modifications. This template includes also 8 colour variants.